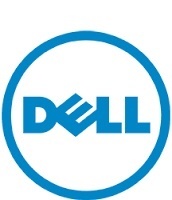 Update the BIOS - http://dell.to/2brJ0AN - and restart the system and install the ControlVault Driver and ControlVault Firmware listed under Security tab. Thanks for the advice, but where is the Security tab? I've updated the BIOS. Ok, I got the driver and firmware, but now Windows says "no fingerprint management software". Where do I find that? I tried downloading security tools (DDP), it somehow did not connect to the fingerprint scanner. Check in device manager if the fingerprint reader is detected or not. Based on this, we shall research further. I installed those, then looked in device manager. There were three unrecognized devices, so I deleted those. The biometric device did not show up in device manager that time. I rebooted, and now it shows up in device manager and says it's functioning properly. Windows still says I have no fingerprint management software installed and Dell Data Protection still will not read my fingerprints. The controlvault device also shows up and declares itself functional in device manager. It's working now. The last change was telling allowing domain logon and stopping the computer from powering the device down. Glad to hear that you managed to resolve the issue. Should you need any info / help, contact us anytime.